This one of a kind home is nestled in the perfect location just outside the quaint little town of Ligonier, Pennsylvania. This Ligonier, PA house is for sale. Its one owner built the home himself in the early 1970’s and with the quiet, private 1+ acres of land, it is a wonderful place to raise a family. 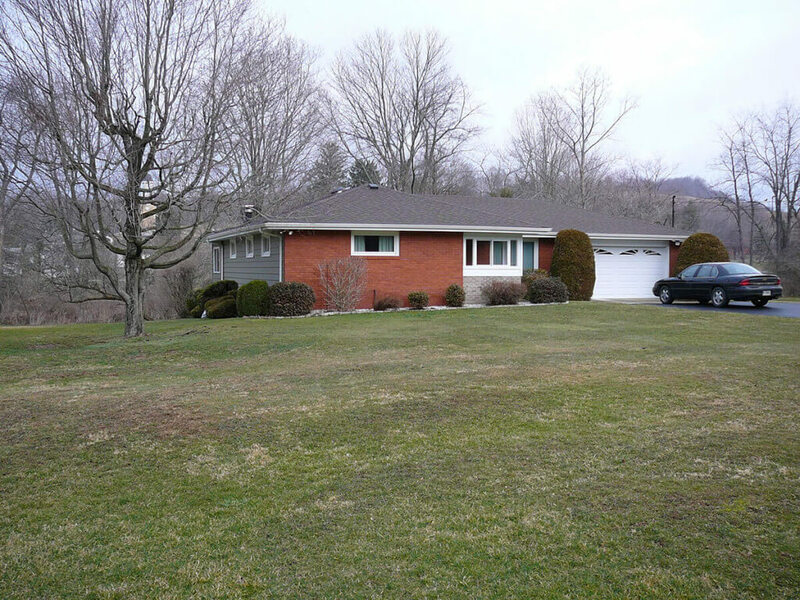 A stocked stream defines the back of the property of this beautiful Ligonier Valley home. Ligonier is a lovely, historic town filled with more than 70 specialty shops, restaurants and places to stay—recognized by The Washington Post as a “Small-Town Charmer.” The scenic valley which surrounds the town is the site of Idlewild & SoakZone – voted “Best Amusement Park for Children in the World,” as well as Compass Inn Museum, Southern Alleghenies Museum of Art, Linn Run State Park and many others. Located in the heart of downtown of Ligonier is The Diamond, shown at left. This beautiful little park is home to trees, flowers and birds. There are park benches and a historic bandstand where band concerts and other events are held. The Diamond is surrounded by unique shops & businesses and even our majestic Town Hall. The streets extend out in all four directions from The Diamond to even more of our town’s shops, restaurants and attractions. The Diamond is properly named because it truly is a jewel in the center of our town. 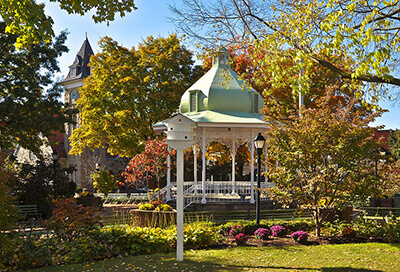 When you take a look at our historic sites, amusements, special events, great shopping & dining along with charming places to stay that are surrounded by horse country and majestic mountains, you will agree that you’ve found the perfect getaway location here in the historic Ligonier Valley. One visit and you’ll see why many say they wish that they could live here!